#hertsbedsmeet // Photos and What we did! Yesterday after a lot of planning the #hertsbedsmeet finally took place! All of the planning was worth it in the end though! I think there were around 12 of us at the start of the meet up and the first thing we did was head to the shops! 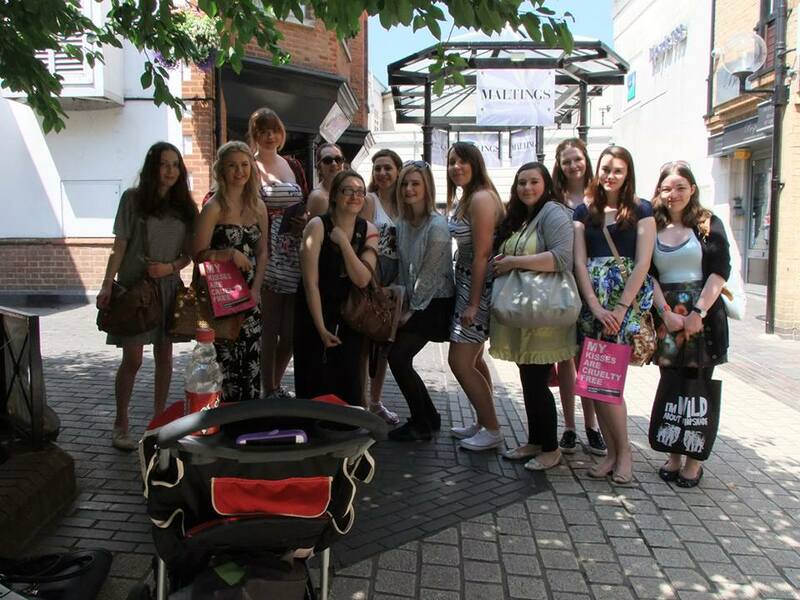 The meet up was held in St Albans. 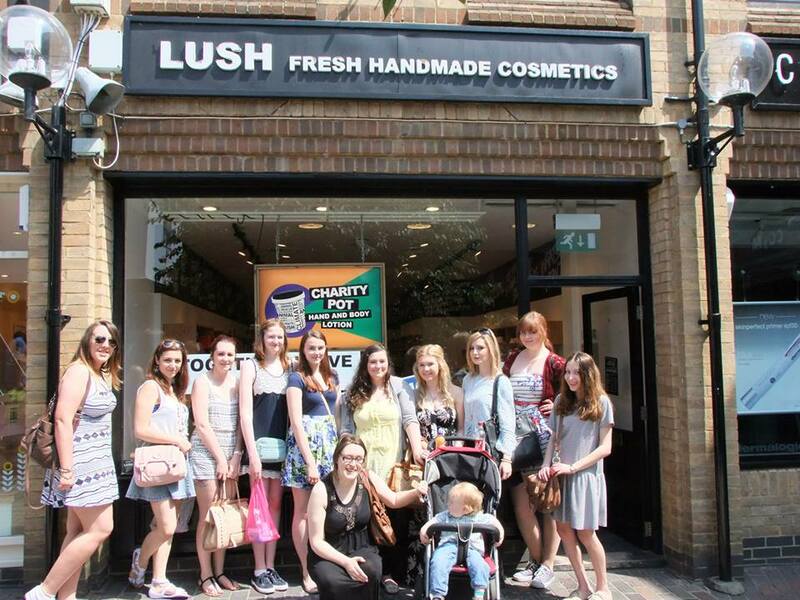 After wondering around The Body Shop, TkMaxx and New Look we headed to LUSH. We introduced ourselves and what we did and the staff were lovely, telling us about their new perfumes and they gave us all a cleanser sample each! The staff in the St Albans store were so lovely. Then to our surprise they asked if we wanted to be in a picture that a photographer from a local paper was taking to go with a article about the kissing world record attempt LUSH did. 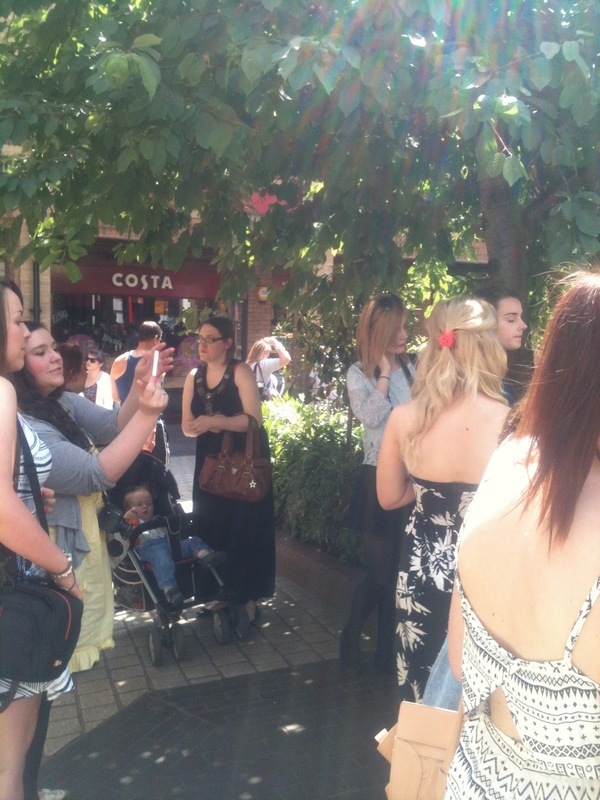 I think we were all pretty chuffed and will be waiting for the picture to come out! We also headed to Bare Minerals and went swatch crazy! I found the most gorgeous lipstick in there but didn't find out the shade, such a bad blogger! Of course we headed to Boots, Superdrug and Space Nk! It was my first time in Space Nk and I will definitely be going there again! We also went for lunch in Wetherspoons, unfortunately Emily, Jenny and Sarah weren't able to join us for this. After that a few of us had another little browse around the shops and then headed off home! I took lots of pictures during the day but also some of these pictures are from Courtney! I thought I'd show you the rest of the pictures! 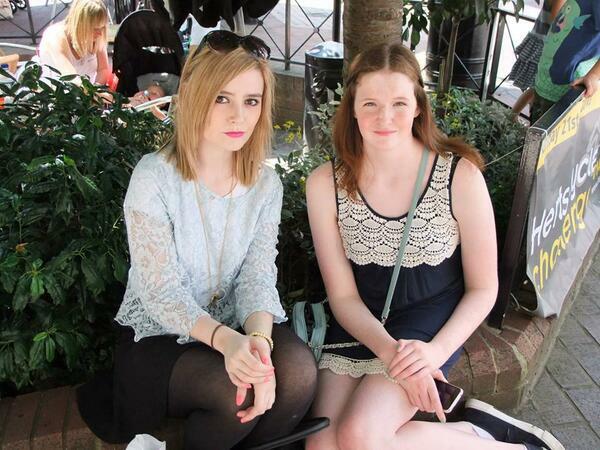 I had so much fun and it was all round a really nice day! 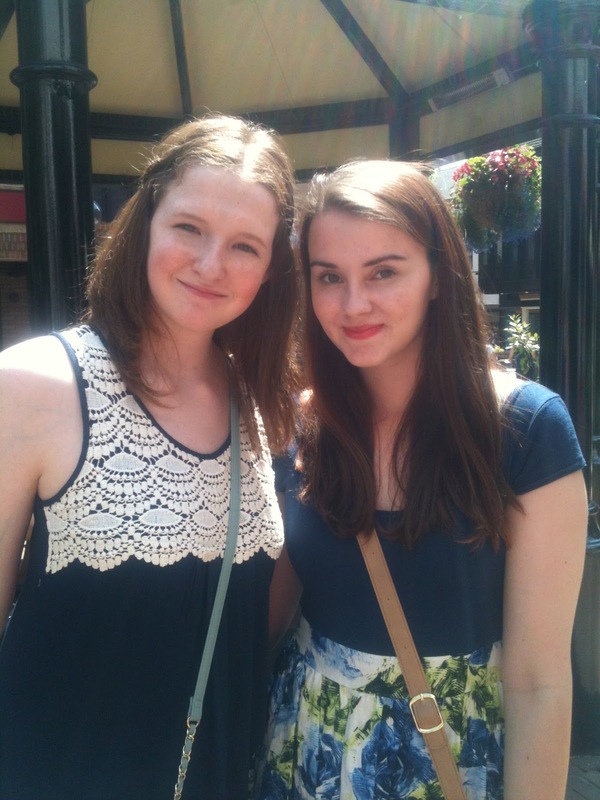 We were of course all super nervous at first but by the end of the day it was like we'd known eachother for ages! 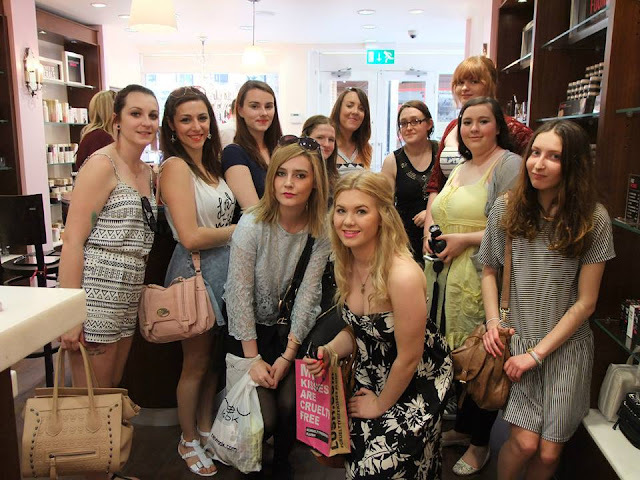 I urge you all to go and check out the other girls blogs as they are all so lovely! It looks like there is already another meet up being planned for around Christmas time as well, I can't wait! Look out for a haul and OOTD post tomorrow! Looks like it was tons of fun , great post and love the pics. I'd love to come if there's another one, I'm from Watford! Anyway I will need to do a return shoutout at some point. It'll probably be on youtube as I'm focusing on the New Zealand earthquakes at the moment on my other blog, but I'll link you up when I do! I need to catch up on a few shoutouts for other people too!